Are you in the mood for some refreshing #vacay therapy? If yes, how about holidaying solo or even with your loved ones in a land of breath-taking natural wonders? Mexico with its palm-fringed beaches, feisty cuisine, steamy jungles and nuances of Frida here and there can woo you with its unique culture and landscape. The contours of Mexico can even surprise you with historical chronicles of long-lost civilizations. If you are a connoisseur of exploring horizons with richer histories, you might as well consider taking a detour from mainstream Mexico and visit the ruins of Ek Balam, which indisputably tops our list of recommends! 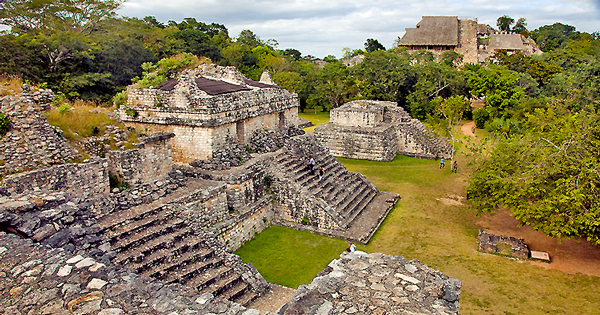 The Ek Balam Ruins are widely popular for their ancient culture, art, and architecture. The Ek Balam Village is said to have flagged its glory much before Chichen Itza and is till date considered as one of the richest archaeological tourist destinations across the globe. But, before you pack your travel gear and let the scouting begin, stop! 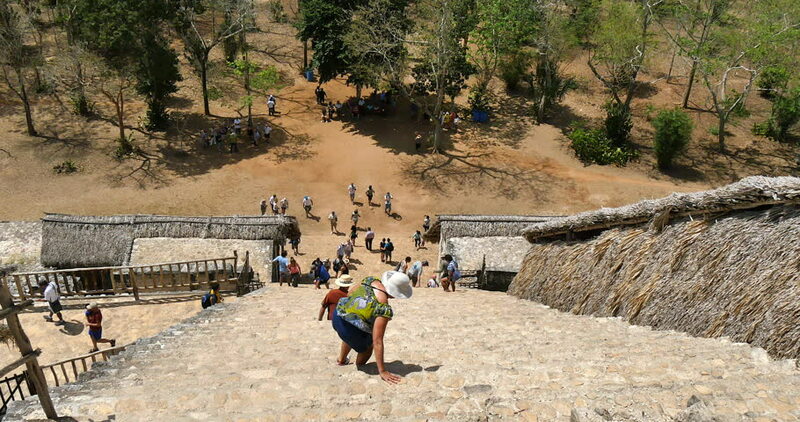 Here are the things you need to know before climbing Ek Balam! Mayan for ‘Black Jaguar’, Ek Balam is an ancient village of ruins located near Valladolid in Mexico. The mind-babbling histories associated with Ek Balam village dates back to centuries; however, researches and excavations could possibly discover facts only in the 1980s! Ek Balam has been operationally thriving for a good 1000 years! The El Torre Pyramid was constructed in between 700 AD and 1000 AD, which is also said to have been one of the most culturally significant time periods in Ek Balam. The village was exposed to substantive cultural and economic development in the Pre-Classic era, i.e., 100 B.C. onwards, up until 300 AD. Construction and development continued in Ek Balam till 900 AD. Researchers have also speculated that the village of Mayan ruins was inhabited till the 16th century, before the Spanish invasion. The primary attraction of this place is a huge Acropolis in the middle, and climbing Ek Balam to its peak is worth the experience! The King of Ek Balam Ukit Kan Lek Tok had lived in the 95-feet tall Acropolis and subjects of his kingdom had to climb its steep steps in order to pay their respects to the King. The rooms inside the Acropolis are beautified with wall paintings along with texts, among which ‘Mural of the 96 Glyphs’ is till date a notable masterpiece of art and calligraphy. The infrastructure was designed along Petén architectural principles, which dwelt on building large pyramids and roof combs on buildings. The walls and their heights of Ek Balam village have intrigued archaeologists to a great extent. These walls were not considerably high to protect a city from invasions; so, researchers inferred that Mayans had constructed these walls for ceremonial purposes, the exact nature of which is yet to be known. Among the other noteworthy structures of architecture here, The Entrance Arch standing on four legs leading way to the city, and the cosmological ceremonial area, Ek Balam’s Oval Palace is mention-worthy. The doorway of the temple El Trono, where the king was buried is shaped in a monster-like mouth, most probably that of a jaguar. The jaguar is a significant emblem of the Mayan civilization. Mayans believed that the noblest of bloodlines were all descendants of Black Jaguars! Endless stories, myths, and historical wonders resonate in the air of Ek Balam ruins. If you are planning to head to Ek Balam village from Cancun or Riviera Maya, you have plenty of options to choose from. You might consider taking a tour visit to the place, although we really cannot assure you the peace and solitude whilst tagged along in a group. You might say, half of this place’s charm is lost in cacophony. Nonetheless, it is a safe bet. You can also opt for a taxi or a collectivo, provided you are willing to shell out some good money! It is a 2 hour drive one way, and the cab fares would be on the higher end. The last option is to rent out a car for 80 USD a day and drive yourself! Road trips are enthralling, and you’d have an opportunity to go out there vrooming on your wheels in the lap of nature. Just one thing to keep in mind; Mexicans drive fast – so, stay to the right on your lane. Just so you didn’t know, Mexicans keep to the right unlike the UK. If you’re driving, it is best to fuel up your tank completely as you might be awed at seeing not a speck of civilization while on your way. Also, have a proper stack of water and food onboard. If you start from the Cancun airport, you might not get another fuel station before 140 kms! Once in Ek Balam village, keep your credit cards aside. You are ought to use pesos everywhere, and by everywhere, we mean, everywhere! Ek Balam entrance fees are 70 pesos each. Are you carrying your GoPro? If yes, you better keep 45 pesos ready at hand for filming allowance inside the premises. Remember that you’re in a land of ruins, so expect nothing fancy inside. Carry a bottle of water and snacks with you to stay covered if needed. Glide your way through a short jungle walk, and arrive at the magnificent land of ruins. If you thought that these last remnants of the Mayan civilization were only to be witnessed, you are WRONG! You can explore the place, uncover its historical stories and also climb these structures. 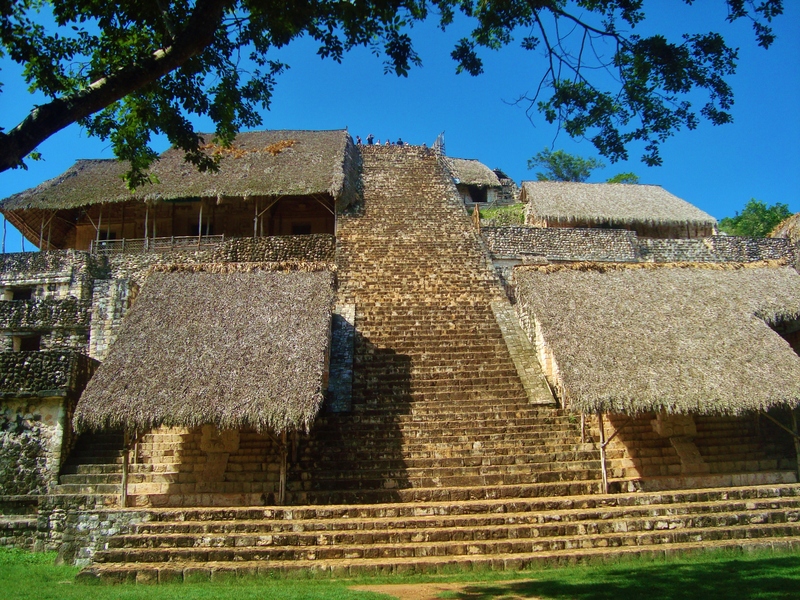 On a clear day, climbing Ek Balam would lead you to an ecstatic view of Chichen Itza and Coba Temples at the top! Now that you are backed with the right knowledge to explore the rarely unexplored Ek Balam ruins, it’s time to make progresses like a smart traveler. Do not spend extra pesos on tour guides and extra efforts on accommodating with a host of other travelers! Download the Ek Balam Tour Guide Cancun by Action Tour Guide and become your own personal guide. No more missing out on the essence of traveling! No more missing out on the historical details of a place! Since the Action Tour Guide application is also functional offline and comes with an in-built Audio Tour Guide functionality, all you need to do is download the app available on both Google Play Store and Apple App Store, choose your preferred language between Spanish and English, and get turnt with a streak of voyaging in foreign lands!